Flexible office space, located in the heart of Memphis. This office offers businesses with flexible leasing terms and all inclusive pricing plans. Pricing will fluctuate based on the selected office space and size of warehouse space needed. Coworking spaces are ready for use once the lease is signed. Warehouse spaces can be designed according to company needs and requests. Beautiful surrounding neighborhood. Benefitting from an excellent location off I-240 near Germantown, this Class A East Memphis set of offices to lease are elegantly equipped to fully cater to the modern professional. In addition to advanced technology and superb equipment, clients also benefit from access to free parking, onsite café and outdoor terrace. Packages can be tailored to suit individual needs for impressive individual attention to each tenant. This upmarket venue in thriving east Memphis is ideally located to offer spacious offices and ample parking, and all of the conveniences of downtown. Wired with the most current technology and equipment for quick network access, and supported by professional staff. Restaurants, hotels and a huge range of amenities are within walking distance. Demonstrating splendid design features, these luxurious executive suites are available furnished or unfurnished, with a variety of customizable options for an individually tailored workplace. Conference facilities, support staff, parking and high speed internet access are all included. Clients are superbly located in Memphis with excellent transport links to Germantown, Collierville and Memphis International Airport. Boasting one of Memphis’ most elegant ranges of offices, this contemporary business centre is fully equipped to provide clients with the ultimate professional environment. Break rooms, sophisticated conference facilities and support staff are just a few of the benefits on offer. 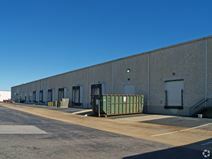 Superbly located just off I-240 providing quick access to downtown Memphis. Featuring breathtaking views of the Memphis skyline and surrounding area, these beautiful executive offices offer all modern conveniences onsite. A wide range of local amenities, including restaurants and hotels, are within walking distance. Just off I-240, this landmark building is only moments away from vibrant downtown Memphis. With splendid views of the surrounding area, these modern and executive suites occupy one of Ridgeway Centre’s elite buildings. Clients benefit from the impressive range of facilities onsite, including restaurants, hotels, movie theatre and outdoor spaces. Additionally, each office is wired with cutting edge technology. Downtown Memphis and Germantown are just a few minutes’ away for excellent connectivity. This lively shared office space is home to a variety of small businesses and entrepreneurs. Various workspaces are available, and the center is conveniently situated amongst coffee shops, restaurants and other useful local amenities. The regional transport links are also excellent and offer both prospective tenants and professional visitors to the site with a range of convenient and frequent services in operation throughout the locality. With an impressive lobby and a strategic location, this serviced office center is well suited to your business needs. Overlooking landscaped grounds, this is a prominent and prestigious address. Close to an array of local retail and other amenities, and easy to access via various major roads, as well as the airport. The regional transport links are also excellent and make the center easily accessibl via numerous travel services.